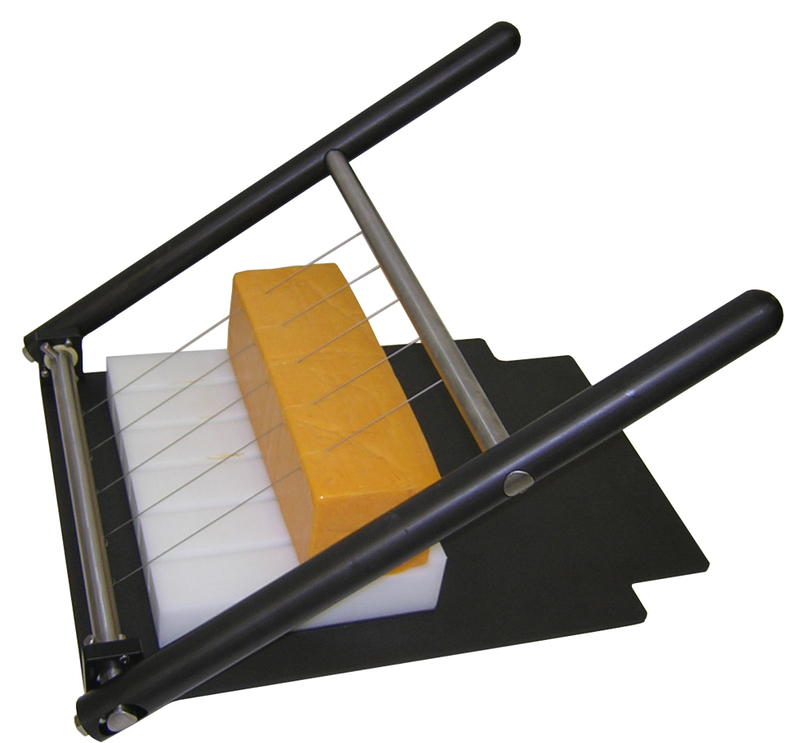 This commercial cheese cutter is a tabletop multiple wire machine operated by human power with a lever arm to slice 5 lb blocks of cheese or butter into set portions. The wire spacing is custom built to each specific customer’s order. A combination of using the 5-MB to break down a 40 lb product and the 5-MMB to cut it into small portions makes a very efficient food production operation. This unit meets all sanitation and wash down requirements, is easy to use, and is very durable. The custom wire frame ensures that no matter who uses the machine, the cheese portions are always the same. To review more dairy slicing results, including more automated machines from FoodTools, click here.